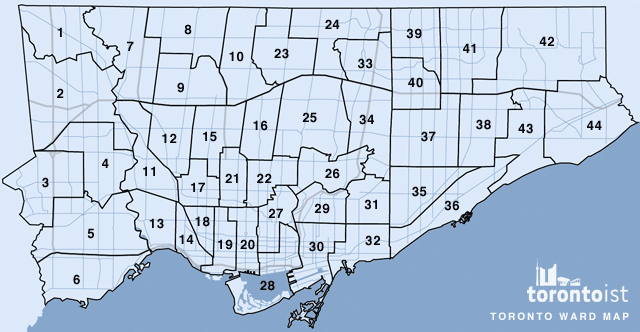 City councillors play a dual role in Toronto’s municipal government. On the one hand, they work with their constituents to tend to local, ward-based matters (zoning applications, local services and facilities, construction, and so forth). On the other, they take part in broader dialogues on city-wide initiatives and policies: they vote for or against Transit City, the green bin program, whether to institute a tax on billboards—the things that affect us all and which shape the trajectory of Toronto as a whole. This year, we might see a significant turnover in council, and thus in the policies it pursues. Some incumbents are facing especially strong challengers, and some others are retiring. 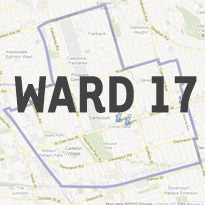 We’ve picked a dozen wards to watch—ones in which the races are tight and the leading candidates diverge significantly—which have the greatest potential to alter the balance of power on council next term. 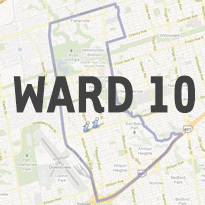 Right-wing councillor Mike Feldman is hanging up his political hat, and Ward 10’s open race has three strong contenders vying for his seat. Nancy Oomen has been Feldman’s executive assistant for years and has garnered her boss’s backing, along with endorsements from other conservative councillors (Denzil Minnan-Wong, Case Ootes, Michael Thompson). Oomen’s playing up her City Hall experience, arguing she is best placed to ensure a seamless transition for the ward’s constituents. 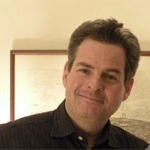 James Pasternak is the second major candidate; he currently represents the area as a TDSB trustee. 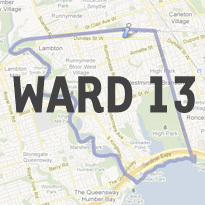 He’s running on a platform of change, with opposition to the City’s spending practices, as well as to LRTs in Ward 10. 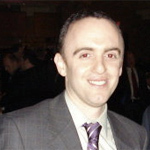 Our choice is Brian Shifman, currently the executive director of a non-profit dedicated to sustainable transportation. 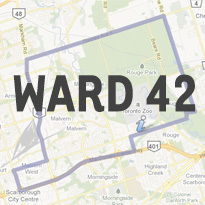 He’s a moderate progressive who is sensitive to concerns about spending; backed by such sensible and effective politicians as Shelley Carroll, Elizabeth May, and Kathleen Wynne; and committed to building mixed-use, walkable neighbourhoods as Ward 10 plans for increased density in the coming years. Bill Saundercook was first elected to office in 1985, in the then–City of York; he’s served as an alderman or councillor for almost all the years since then. 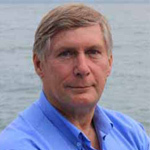 Saundercook has solid environmental commitments, but is overall one of the more forgettable members of council; his current platform contains nothing particularly objectionable, but focuses more on past accomplishments or ongoing projects rather than charting any clear path for future growth. 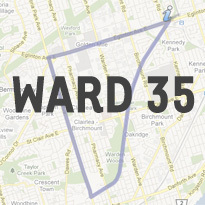 Both the ward and the city would benefit from a more active and vigourous representative here. 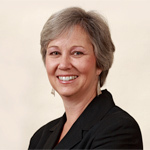 Sarah Doucette is Saundercook’s main opposition, and is our choice in Ward 13. Doucette matches Saundercook’s concern for the environment, is a strong supporter of sustainable transportation (both Transit City and bike lanes), and is advocating for better engagement with tenants in rental buildings. 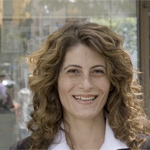 She will bring very welcome fresh energy to Parkdale-High Park. Outgoing councillor Howard Moscoe is a Toronto institution, with a far better grasp on council procedures, and far more personality, than the vast majority of his colleagues. A staunch progressive, Moscoe has focused for the past few years on the ambitious plans to redevelop Lawrence Heights. At the forefront of the race to replace him are Catholic school board trustee (and former councillor) Rob Davis, and business leader Josh Colle. 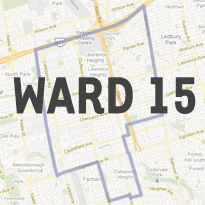 Colle is our clear pick for Ward 15. 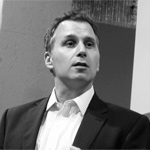 A moderate whose platform balances fiscal concern with a commitment to smart investment in the city, Colle would be a strong voice for the pragmatic centre in the next council. Davis is running on a platform of fiscal and law-and-order conservatism, and his approach is far too heavy-handed for a ward that will undergo massive change in the coming decades. Though the metaphor is overworked, current councillor Cesar Palacio is a real instance of deadwood at City Hall. His two terms in office are notably devoid of any major accomplishments, and though he represents a ward with significant pockets of poverty, Palacio has failed to show leadership on social welfare issues. 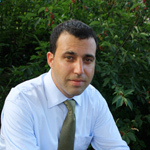 Fighting for change is community activist Jonah Schein; he gets our unreserved endorsement. A community engagement worker who is well-versed in the challenges facing Toronto’s economically depressed residents, Schein would be a strong advocate of tenants’ rights and access to healthy food in Ward 17 and across Toronto. Sustainable transit, and the electrification of the Union-Pearson link are also front and centre in his platform, and Schein shows every indication of being more accessible and responsive to his potential constituents than Palacio has ever been. 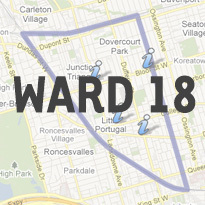 Ward 18’s two leading contenders are Kevin Beaulieu and Ana Bailão. Both have been executive assistants in City Hall—Beaulieu to outgoing Ward 18 councillor Adam Giambrone, and Bailão to Giambrone’s predecessor Mario Silva—and both have a good grasp on how City Hall works. We’re backing Beaulieu for Ward 18, on the strength of his commitment to constituent services; his support for the arts, environment, and sustainable transit; and his detailed knowledge of local issues. Bailão has a thorough understanding of the Portuguese community in Ward 18 and we do not think she would serve her constituents badly, but she’s opposed initiatives we favour (such as bike lanes on Dupont), and her 2003 campaign for council was marred by a too-close-for-comfort relationship with developers. Beaulieu’s grounded, ego-free approach to politics would be a welcome calming influence at council. 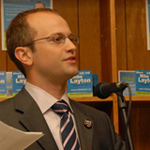 We extend an endorsement to Mike Layton with some reluctance. It’s not that he wouldn’t make a very fine councillor—he would—but only that one of his opponents, Karen Sun, is also extremely impressive, and it would be a shame for her and her community-oriented political stylings to be lost from civic life just because she had the misfortune to run against someone with a more recognizable name. But none of this should diminish Layton: he’d be good for City Hall. His work in the environmental policy realm means he’ll be sympathetic to Toronto’s various ecological woes. His considerable knowledge of municipal politics and community concerns mean he’ll almost certainly be a strong advocate for his constituents from day one. Plus, his famous name makes him the surest shot at beating his other strong opponent, former sports broadcaster Sean McCormick, whose platform reads like it was cribbed from Rob Ford’s. 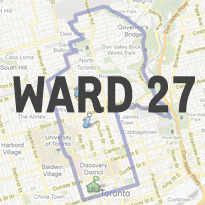 Ward 26 incumbent John Parker has been in his position for four years now, and in that time, he’s voted fairly consistently against environmental reform, earned a “D” from ArtsVote for his indifference to municipal support for the arts, and otherwise hasn’t distinguished himself from his forty-three colleagues in any meaningful way. Lately, he’s been buddying up to Rob Ford, and so it can be assumed that, if reelected, Parker would use his influence to further some of the more damaging agendas of a Ford administration. 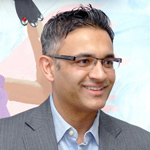 Parker’s opponent Mohamed Dhanani, meanwhile, is more than just a convenient alternative. Dhanani is the best of both worlds where Ward 26 is concerned: he has professional qualifications as well as deep community ties. His stints at Queen’s Park (where he was, for a time, senior advisor to George Smitherman) and PriceWaterhouseCoopers have left him with an understanding of government fiscal policy that isn’t simplistic. And, as a first-generation immigrant, he has roots in Ward 26’s aging tower communities, which he has pledged to revitalize. 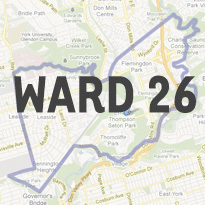 Dhanani could bring needed change to Ward 26, and would help tip the balance of council away from the slash-and-burn mentality that has pervaded the rhetoric of some candidates during this municipal election. 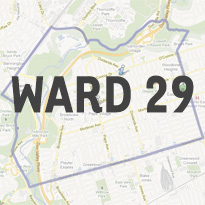 Ken Chan and Kristyn Wong-Tam are the two most likely candidates to succeed outgoing councillor Kyle Rae, although Chris Tindal is poised to take his fair share of votes. Wong-Tam, who has earned endorsements from councillor Adam Vaughan and social activist Michelle Lansburg, offers a combination of private sector experience and effective advocacy with local residents and community groups. Chan counters with experience as a police officer in Peel and a wealth of public sector service in Canada and in the United Kingdom. Chan has secured Rae’s blessing as well as that of mayoral hopeful George Smitherman, whom Chan advised at Queen’s Park. 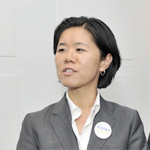 However, we see Wong-Tam as the clear choice to advance a bold and informed progressive agenda: she is one of the most consistent voices advocating equity and social justice in the 2010 race. Issues of race, class, and gender equity inform the breadth of her policy positions, and she has some new ideas to improve prospects for Toronto’s diverse residents. Jane Pitfield, Mary Fragedakis, and Jennifer Wood are all contenders to replace outgoing councillor Case Ootes. While Pitfield has gone to great lengths to cast herself as a progressive force for voters, she still seems interested in forcing the visibly homeless off city streets against their will, advocating that they be “scooped up and looked after.” Wood focuses heavily on fiscal accountability, but her platform contains little beyond the well-worn cliches of “line-by-line” budget reviews and unspecified “efficiencies.” Despite her slew of NDP endorsements, Fragedakis sounds a lot like her opponents on the major issues facing the ward and city at large. However, she is more nuanced than her opponents on plans for green spaces and improvements to the diversion rate in the ward. Fragedakis has also demonstrated an ability to meet the daily needs of low-income residents through her leadership at the Broadview Community Youth Group. We believe she is the best choice for collaborative, progressive change in Ward 29. Another incumbent in a tight race for reelection is Adrian Heaps, who is facing off, as he did in 2006, against Michelle Berardinetti. The acrimony which marked the last race (which resulted in legal action) has returned to some extent, and the outcome may also again be quite close—Heaps’ margin of victory last time was just eighty-nine votes. Heaps has not been a stellar councillor, but he has been a solid one. As both a Scarborough representative and a strong cycling advocate, Heaps can do essential work in helping bridge the gap that persists between downtown and suburban voters, more of which is desperately needed on council. Berardinetti has been running on a centre-right platform which simultaneously calls for fiscal restraint and new subways, and her campaign language has been more divisive than her opponent’s. Heaps is the better-balanced and more collaboratively inclined candidate, and for that he gets our support. This Scarborough race is tough to read: outgoing councillor Brian Ashton has held the seat since amalgamation, and represented parts of Scarborough since well before that. Of the ten candidates running to replace him, one in particular has caught our eye: Robert Spencer. With deep experience on the school board and in the environment sector, Spencer offers both local knowledge and a strong progressive outlook. He has made improving public transit to Scarborough a key element of his platform, and unlike many of his opponents, Spencer seems free of knee-jerk reactionary rhetoric when it comes to the prospect of wind turbines in Lake Ontario. Raymond Cho is one of council’s less active and more erratic members. 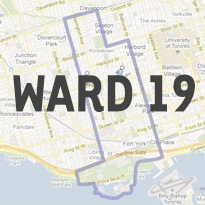 The ward is the largest, and one of the youngest, in Toronto, and would benefit from a new representative who provides more active and engaged leadership. 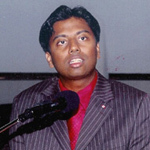 Experienced community activist Neethan Shan possesses the requisite energy and drive, and is committed to raising the profile of Scarborough neighbourhoods to stimulate new activity in the ward. 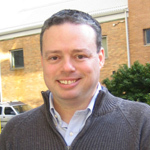 He has a plan for increasing resident engagement in decision-making, and is a strong supporter of public transit. With management experience and a history of working with the Malvern community, Shan has the capacity to provide able and balanced leadership in his ward.